whenever my husband leaves town for work and I have some projects to complete around here, I watch movies. Well actually, I watch one movie and have this habit of watching it on repeat. and so, I love to escape to someplace happy and ridiculous. There is something very soothing about that sort of thing at the end of the day. Lately, I have been on a Miss Pettigrew Lives for a Day kick and oh my goodness, I OBSESSED with that fashion era. The tailored cuts, the body conscious designs, and the fur accents, so dreamy!! Amy Adams is a DOLL as Delysia Lafosse, fast forward to exactly 1:03 minutes on the YouTube clip (HERE) and you will see why I am in LOVE with this week’s tutorial. With that said, I do love a good faux fur and I love how affordable it is at the fabric stores when compared to real fur. 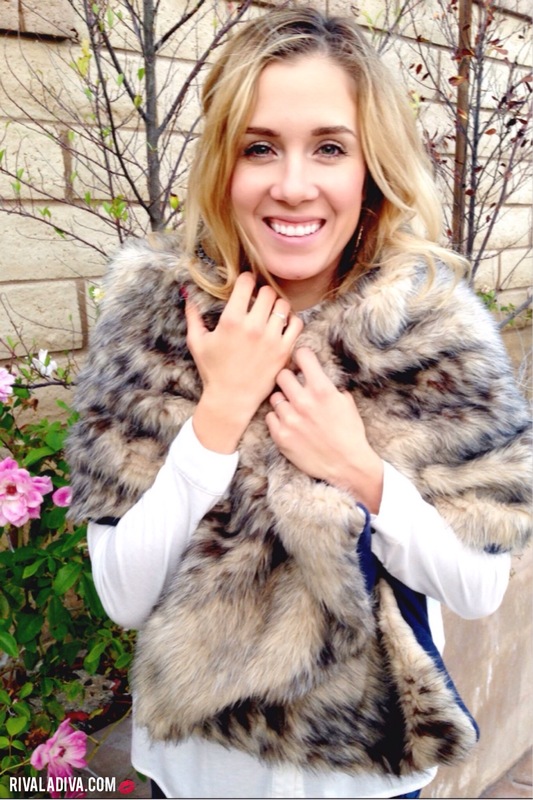 Fur is ALL over the runway this fall – coats, vests, scarves, you name it! 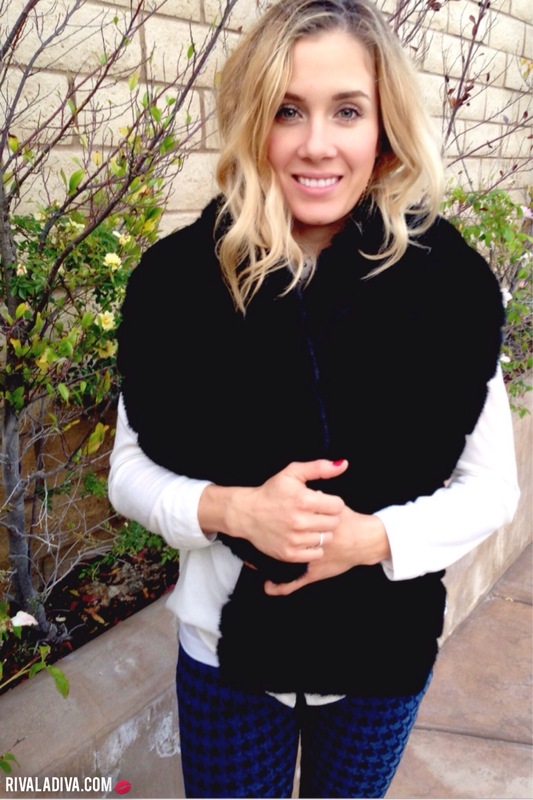 Sadly, LA is not cool cold enough for coats so I am focusing more on scarves today. Designers like, Chadwick Bell (here, here, & here), Ana Sui (here, here, & here) and BCBG Max Azria (here), all have fabulous examples of how they’ve incorporated these scarves into their collection this season. Check them out. Honestly, I love these scarves. They are lined with fleece and a little wider than a regular scarf, so they have that blanket scarf feeling, they look glamorous, and they are incredibly functional because they are so warm and cozy!! Trust me, YOU NEED to make your own and the best part? They are simple to make! 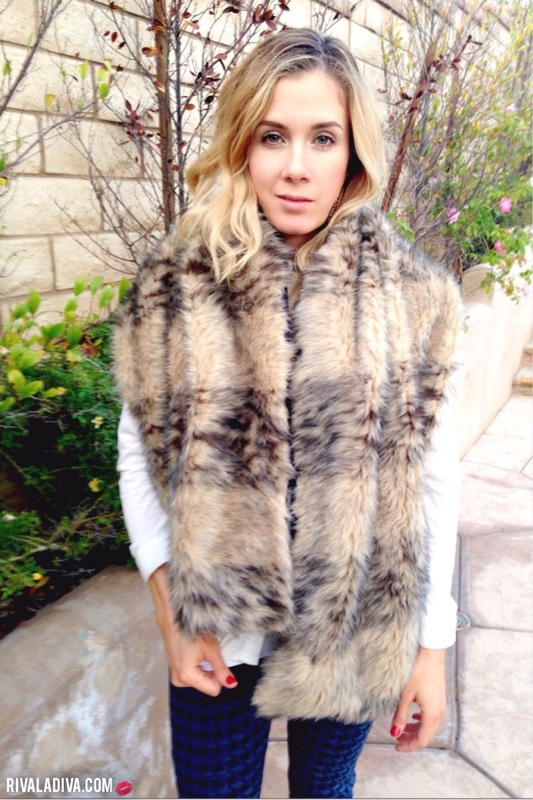 Fur can get a little scary if you haven’t done it before, but this scarf is a piece of cake. 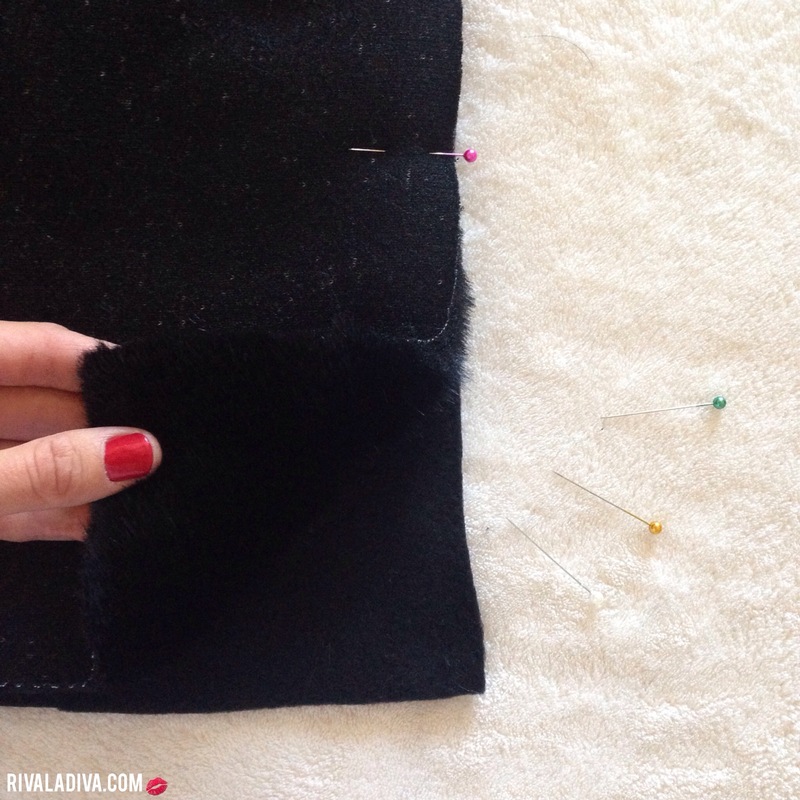 Faux fur, buy 1/3 – 1/2 yards that’s more than 50″ wide. If the width is shorter, than you will need to buy twice the amount. The people cutting the fabric will not always cut the fabric evenly, you might realize this as soon as you lay out the fabric at home. To prevent this, you can always speak up while they are cutting and tell them that it’s important the fabric is evenly your desired width throughout the length of your fur choice or just trim it at home. This takes a minute, no biggie. Do the same with your fleece AND make sure your fleece is identical in length and and slightly more narrow in width, as your fur. notice the fur is facing down on to the fleece. Using a sewing machine, sew all around the ends of your scarf EXCEPT for a 6-8″ hole/opening so your can turn your scarf right side out. Once you turn your scarf right side out through that 6-8″ hole/opening, you want to hand sew it shut. 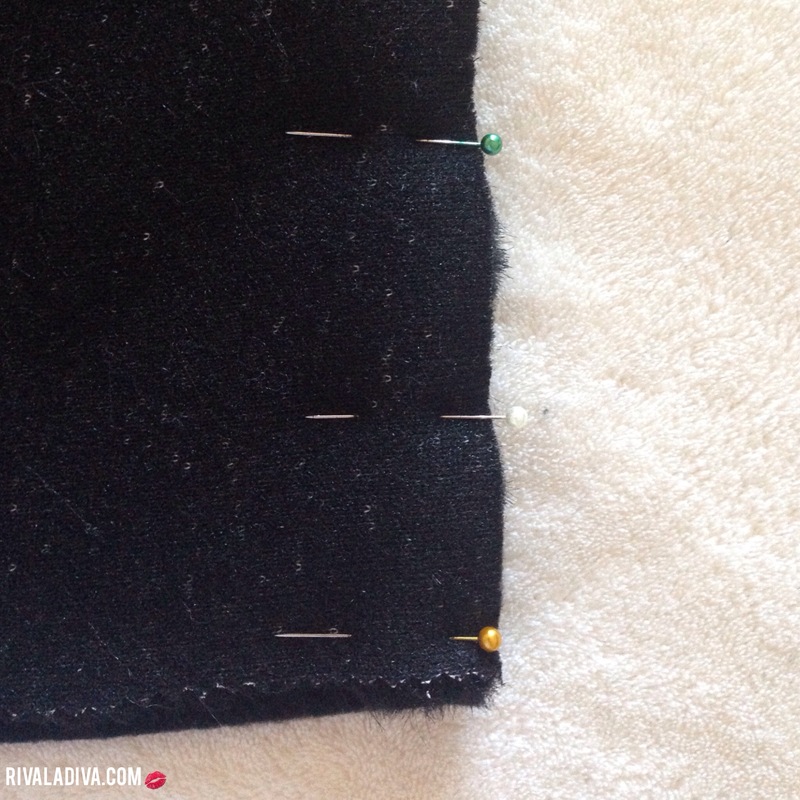 Use whatever stitch you like because the nap of the fur will hide the stitches, so it doesn’t have to be perfect or pretty. Just securely close that hole. 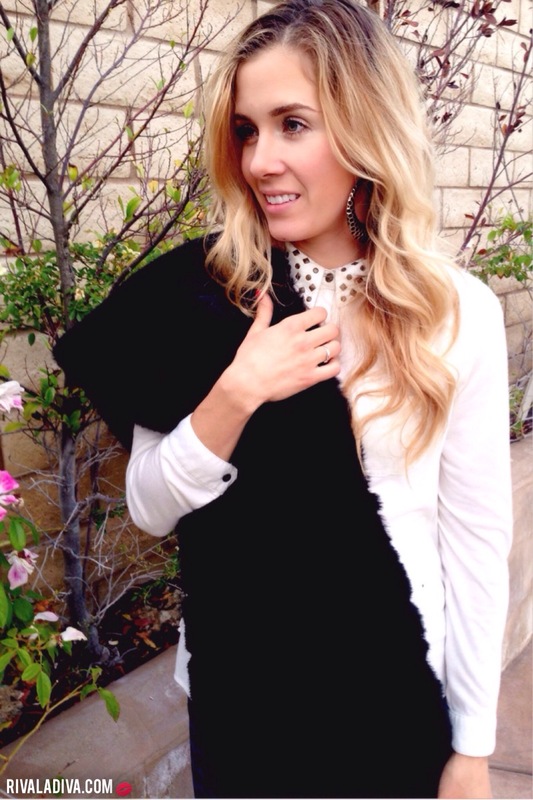 Now your Faux Fur Scarf is complete! So when do you wear you this, one may ask? WHEN do you not wear it? Dressy or causal, it all works! I dare you to work it on your way to the gym, ha! so you don’t even have to commit to a jacket some days! **Some tutorials will ask you to trim the fur along your seam line, I did for the tan fur and did not for the black fur. While trimming, I had fur EVERYWHERE. I did not notice a HUGE difference in the final product especially as it is just a scarf. So long as your fur is not CRAZY long, I think you should be fine. 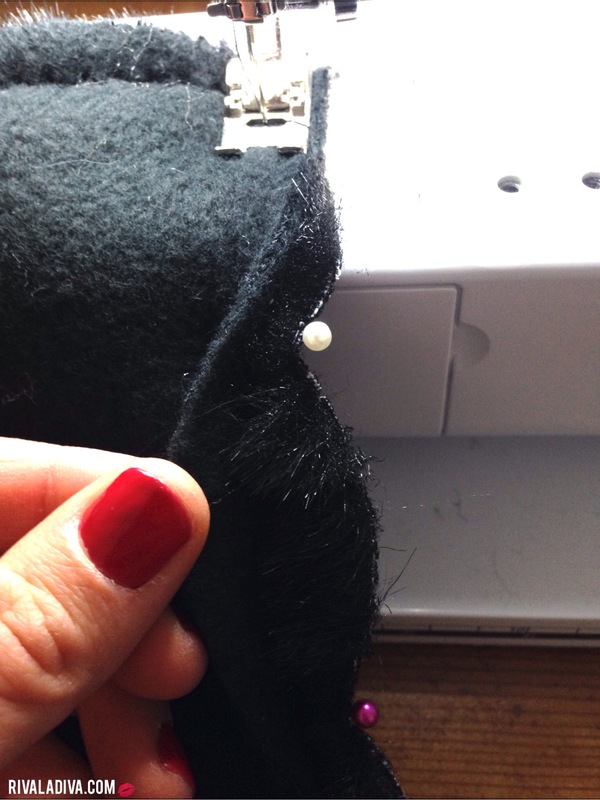 Especially if you cut your fleece a little more narrow, length-wise, than your fur – that way, the fur will turn under and you are less likely to see the seam from the outside. and make those those fur scarves! Until then, I will be waiting for cooler weather (SoCal is getting back to the 80’s this week), thanks for stopping by, and have a glamorous day! OMG that light fur is AMAZING! And looks SO cozy too! first – I love your name!! I really hope you can make one for yourself soon! Fantastic! 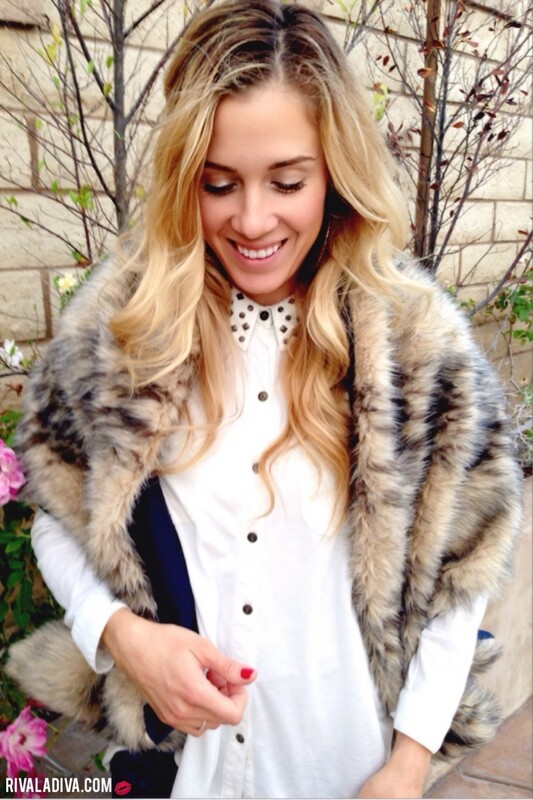 I love the look with the fur scarves, and will definitely be making one of my own now. Thanks for sharing! Ah, YES! You should make one and let me know how it turns out!! I cannot wait to see it! Thank you for your comment – I love the feedback. This is an awesome tutorial! I would love for you to do a guest tutorial for something on my blog! These scarves are fabulous! Tbh, I seriously cannot see me making one, it scares me too much! I do explain the process so simply though and they are so glamorous. You’re so talented!. Maybe I;ll have a go! then YOU can do this and you would look amazing and feel so warm! ps- you have the coolest name! Great tutorial! 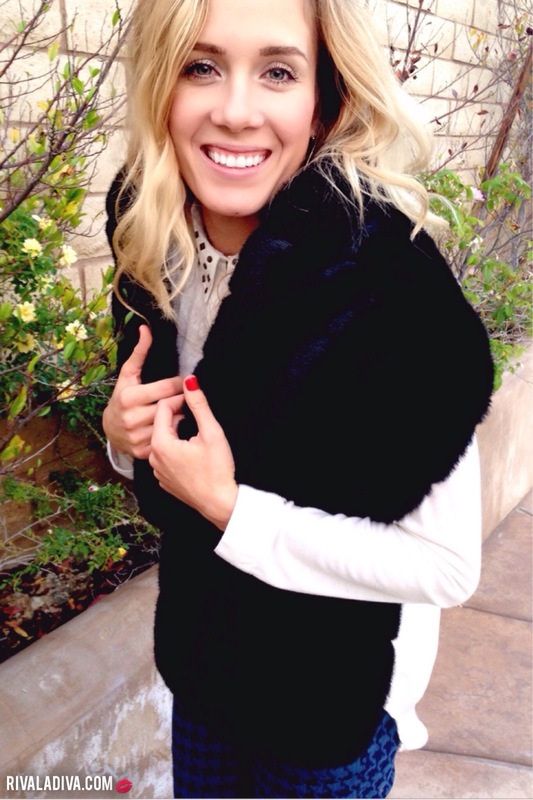 I love faux fur as well, as jackets or vests or scarves. It makes you look so chic and put together and you can dress it up or down. Oh and I have to watch that movie, it looks amazing! Thanks for sharing. This is by far at the top of my to-do list now! So amazing! Where did you buy the faux fur from? Beautiful! My favorite the black one! Thanks for sharing! I’m a little jealous that you have all this time and will to DIY things. I just travelled to Japan and that looks like something I NEED, brrr. These turned out so good and you are right they aren’t complicated to make. Great job! Nice post. You are looking beautiful . It is very helpful for me. I will surely try the ideas you gave. 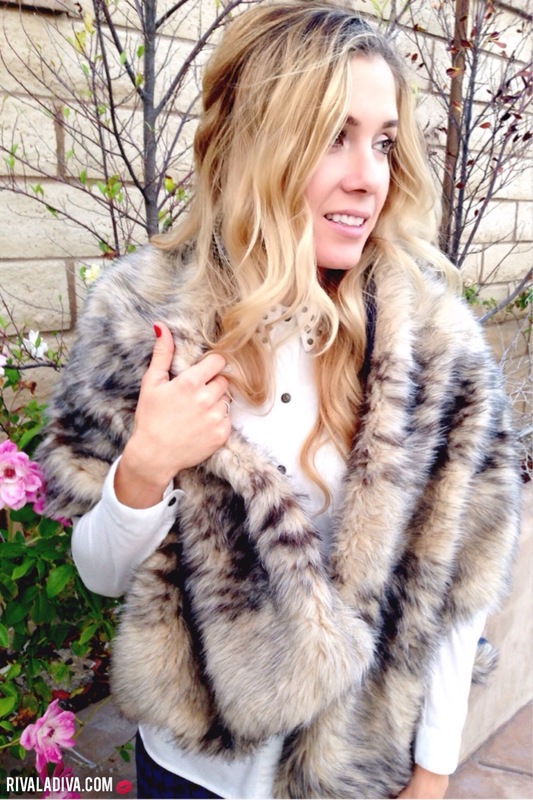 My sister loves to wear fur hats and purchases online from Amifur an online shopping store which provides a good collection of clothing accessories for men and women. I’m a little confused by the instructions – which way do you cut it in half, and about how long does the scarf end up being? Oh my but that is awesome! I love them both but I do kinda favor the light fur! thank you!! Hello! I am hoping to make one of these Gorgeous scarfs! I had one clarifying question. I bought 1/2 yard of 58 inch long faux fur fabric. Do I cut this in half and sew together or would that only be if I had bought shorter fabric? Thanks so much for this tutorial!!! I am super excited to sew one up this week! I would do that if you want a longer scarf… which honestly, looking back, I wish it was longer! You had me even before you mentioned :Miss Pettig rew Lives for a Day”… Love the art deco in that movie. !!!! You are my kind of friend!! xoxo thank you! !